Are you ready to move forward in bold ways in 2019? Do you hear your calling? Are you ready for an experience that reflects your highest of intentions? "Life On Fire" with Rev. Glenn will provide you with an opportunity to vision a year that aligns your experience with your Divine Purpose. 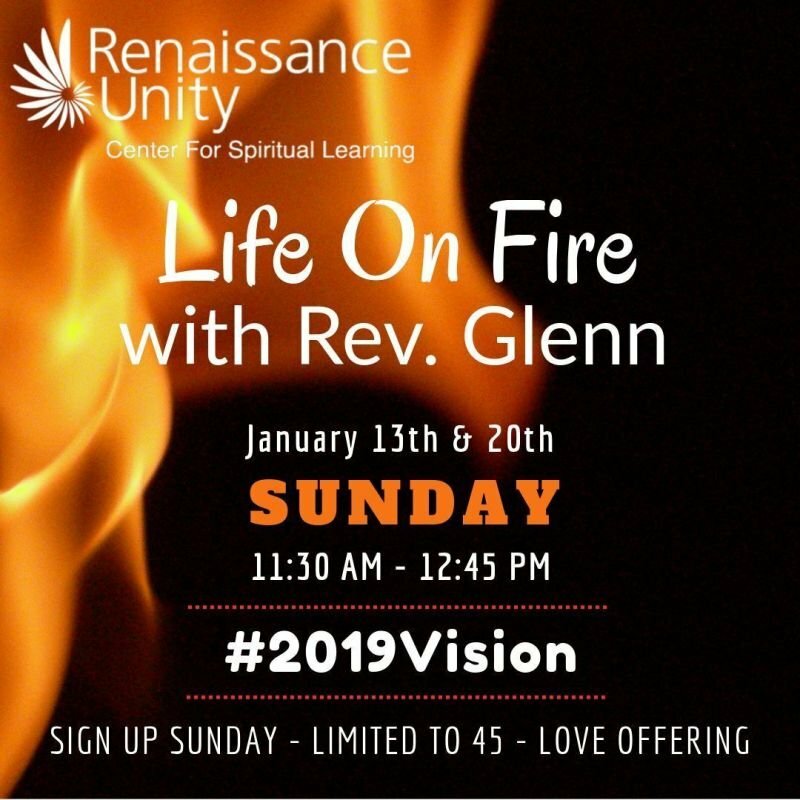 "Life On Fire" is a two-session series that will be held on Sunday, January 13th and January 20th from 11:30 AM - 12:45 PM. It is time to elevate and embrace! Are you ready to move forward in bold ways in 2019? Do you hear your calling? Are you ready for an experience that reflects your highest of intentions? "Life On Fire" with Rev. Glenn will provide you with an opportunity to vision a year that aligns your experience with your Divine Purpose. "Life On Fire" is a two-session series that will be held on Sunday, January 13th and January 20th from 11:30 AM - 12:45 PM. It is time to elevate and embrace!